Like knowing that your loved one is suffering from cancer; being told that your family pet dog has this disease is equally as devastating for sure! Dogs can develop cancerous tumors and like humans early diagnosis is the key to effective treatment that may eradicate it, therefore, curing your beloved companion of this particularly nasty illness. But it is very unfortunate that not all dog owners are aware that dogs can have cancer. But this is true; dog cancer is rampant and could account for the mortality of your pet. It is one of the leading causes of death especially for a ten-year-old canine or more. Just imagine that out of four dogs, one has the possibility of having cancer. It might be my dog, but it might also be yours. Now, knowing that dog cancer actually exists is not enough. You should go deeper and understand more. Start on the basic such as by knowing the types of canine cancer. Why is it important to know the different types of canine cancer? It is simply because by knowing the problem, you could seek for solutions. Also, the symptoms differ in every type of cancer. The knowledge of symptoms is very important so as not to worsen the condition. 1. Another type is abdominal cancer that usually causes vomiting, diarrhea, and loss of weight. Canine owners should also observe for the occurrence of swollen abdomen especially if it is continuously growing. 2. Cancer in the breast accounts for twenty percent occurrence. It is common for unsprayed six-month-old female dogs that are normally in the heat for about every six months. The first sign would be a swollen mammary gland. Usually, female dogs that were spayed before their first heat cycle are prone to the development of mammary tumors. 3. 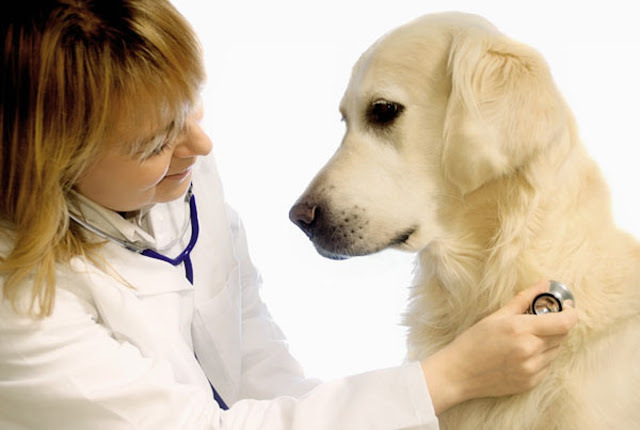 Dog cancer is also known as neoplasia, tumor or malignancy. Fifty percent of the tumors are all of the skin. This is the most common of among the various types of dog cancer so check out for unusual and fast-growing lumps. 4. For male dogs, testicular cancer would be the case, especially for unneutered ones. Thus, neutered male dogs have less or no chances of having such a condition. 5. Osteosarcoma is a bone cancer that commonly perpetrates large breed dogs. Bone cancer is usually malignant and commonly develops at the site where a prior injury has occurred and it will burrow deeply into the bones that cause unbearable pain. 6. Another type of cancer that accounts for ten percent occurrence is lymphoma, which could be lethal as it affects the immune system. Common signs include swollen lymph nodes, lack of appetite and lethargic condition. These are the common types of canine cancer that pet owners should be aware of. Upon manifestation of any sign, it is recommended to give them immediate supplement such as ES Clear as not to worsen the condition. Dogs are not merely pets but a loyal member in the house, thus dogs deserve to be taken cared of as we take good care of the house too!